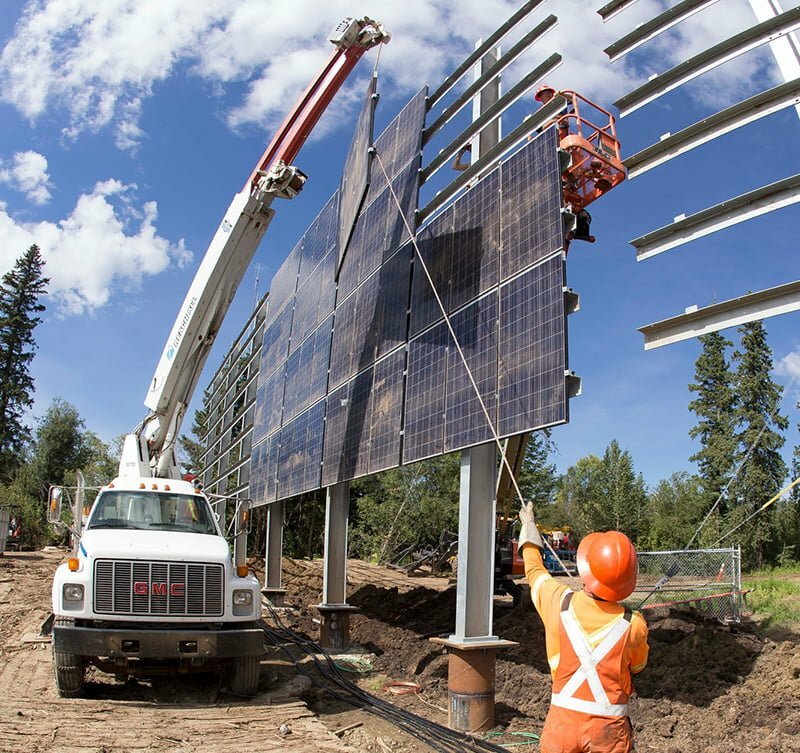 ATCO’s Electricity Global Business Unit (ATCO) has energized western Canada’s largest off-grid solar project at the Saddle Hills telecommunication site northwest of Grande Prairie, Alberta. This ground-breaking system is capable of generating 75 kW and storing 250 kWh of energy while providing 100% of the power required at the unmanned site, which is an integral part of ATCO’s telecommunications network. 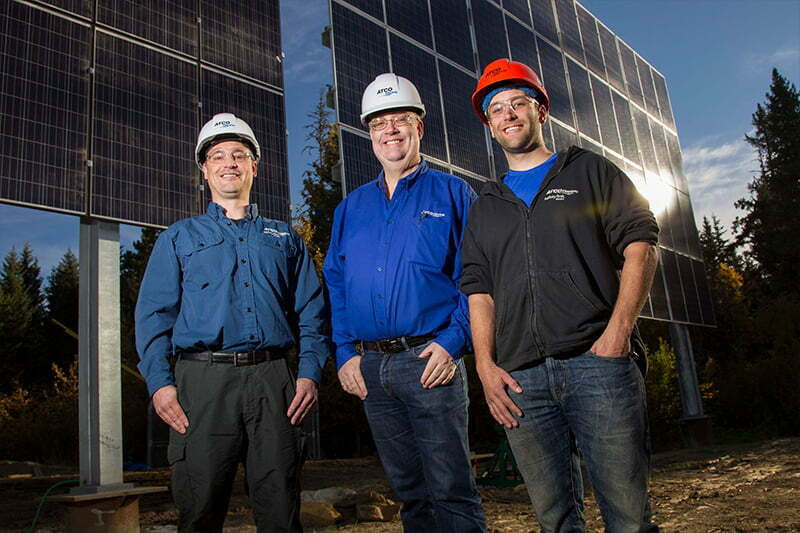 ATCO partnered for success with the Alternative Energy Program at NAIT. The Saddle Hills project eliminated reliance on fossil fuels and permanently removed the site’s carbon emissions from our corporate footprint while preventing the annual release of 25 tonnes of CO2. A traditional scenario would have been to run construct distribution lines. Saddle Hills is 12 Km from the nearest distribution line, so this would have been an expensive option. Instead ATCO chose solar. The ATCO solar system at Saddle Hills uses large scale lithium battery power for 250 kwh of energy storage. This innovative way to energize the site means there is no need for any backup power. Traditionally, solar panels are mounted in a horizontal tilted array in order to maximize the KWH kWh per year.  ATCO chose to mount the panels vertically to optimize energy production during the winter months, and more specifically, to maximize production on the shortest day of the year. Furthermore, building vertically allowed for minimized maintenance as the panels could be cleaned naturally by the environment which is critical for an isolated asset. This delivered a completely green solution at a lower cost, with a reduced impact on land use, vegetation and wildlife. Remote monitoring technologies have been heavily integrated throughout the site to facilitate real time visibility. Instead of sending and dispatching an engineer to site, teams can remotely check in on solar system performance data and see real time video of the site. 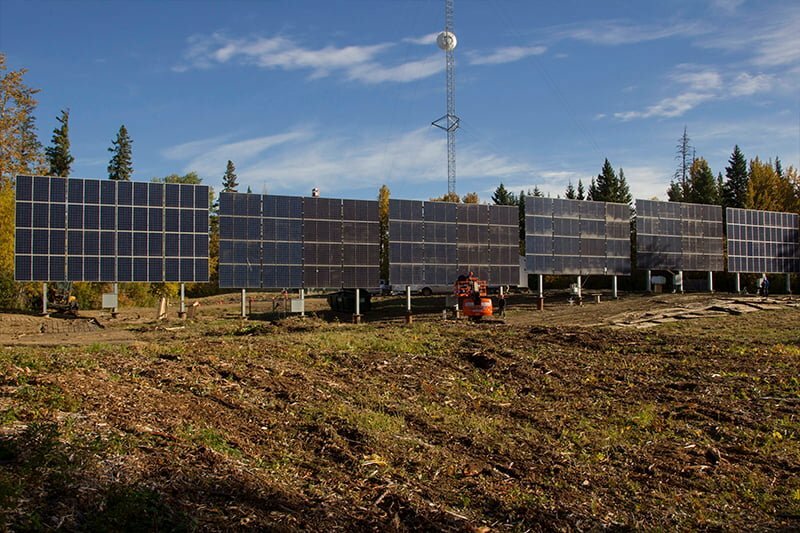 The innovation required at Saddle Hills resulted in ATCO’s Nisku Solar Lab. Here, engineers experiment with solar technology to better understand applications. The lab has eliminated 20 tonnes of CO2 in one year. When the lab is not used for testing, it is configured to feed power into the grid. ATCO was named an Emerald Award Finalist for this initiative in 2017.